Modeling languages (like UML and SysML) are those used in model-based specification of software-intensive systems. Like programming languages, they are defined using their syntax and semantics. However, both kinds of languages are defined by different communities, and in response to different requirements, which makes their methodologies and tools different. 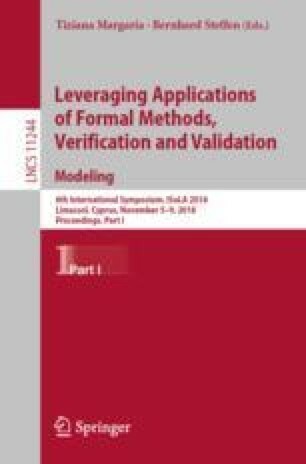 In this paper, we highlight the main differences between the definition methodologies of modeling and programming languages. We also discuss the impact of these differences on language tool support. We illustrate our ideas using examples from known programming and modeling languages. We also present a case study, where we analyze the definition of a new modeling language called the Ontology Modeling Language (OML). We highlight the requirements that have driven OML definition and explain how they are different from those driving typical programming languages. Finally, we discuss how these differences are being abstracted away using new language definition tools. The research was carried out at the Jet Propulsion Laboratory, California Institute of Technology, under a contract with the National Aeronautics and Space Administration. Reference herein to any specific commercial product, process, or service by trade name, trademark, manufacturer, or otherwise, does not constitute or imply its endorsement by the United States Government or the Jet Propulsion Labor.